Finals are looming right around the corner, which means it is time to get your backpack ready. 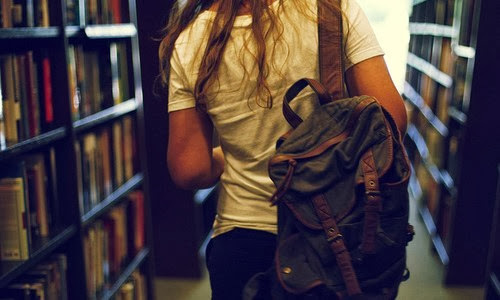 Of course you need your books, but there are some essentials you should remember to pack in your bag. Whether you’re a freshman or an upperclassmen, prepare for your exams by adding these five items to your school bag so you’re always ready for anything. Sometimes a debit card just won’t cut it. Carrying some extra coins and a few dollars can be super helpful when you run into “cash only” situations. Whether it be needing change for a meter when you rush off to the library or a dollar to buy something yummy to snack on at midnight, carrying a little extra money is a must. Find a cute, hand-sized bag to throw some touch-up essentials in. Gum, lipgloss, a mini-size deodorant and a travel-size body spray are all good ideas to add to this bag. It is my belief that when you look and feel well, you test well. Also you never know when you may need to crash somewhere overnight and may need to freshen up the next morning! Nothing is worse than being stuck in the middle of class, and you realize you are starving! Keep your stomach happy by packing a high protein or high fiber snack in your bag. Great choices are a bag of peanuts, a fiber-rich granola bar, an apple or roasted soy nuts or sunflower seeds are all easy options to throw into your bag. Even though Ellis and the Student Center both have free charging stations, which can be quite useful at times, sometimes you just need one handy. Nothing can turn a good day into a bad one a quick as a dead phone. If you don’t have a spare charger, at least store a syncing cable so you can use a computer to charge it. A bad headache or an upset stomach are never fun to deal with, but especially not when you’re trying to cram for an exam in two hours. Buy a pill box with a few different compartments, and pack medicines you may need, such as allergy pills, Advil and any prescriptions you take. If you happen to forget to take something or get a massive headache or allergy attack, you will have backup in your backpack! After buying a new, stylish bag for class, be sure to add these essentials so you are ready for anything college throws your way!